Non-invasive measurement to monitor moisture in wood and other building materials with virtually no surface damage. It allows you to select from 10 wood types and measurement ranges and it quickly indicates the moisture content of materials. 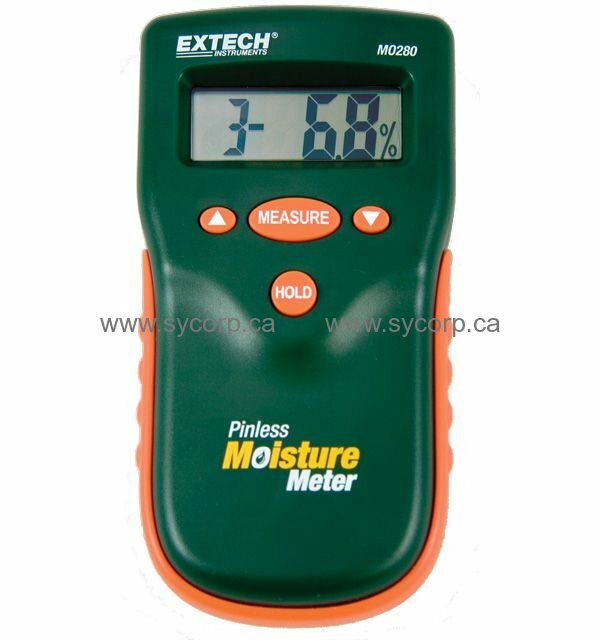 Features an LCD display which displays % moisture of wood or material being tested. Also features automatic internal test and calibration, electro-magnetic testing technology and low battery indication. Measurement range from 0 to 99% (limited by wood type) and measurement depth to 0.75” (22mm) below the surface.